Melt half of the butter in a medium saucepan over low heat. Simmer the onion and beef marrow in the butter for about 10 minutes. When the onion is soft, remove the onion and marrow from the pan using a slotted spoon, and set aside. Sauté the rice in the pan over medium heat for 5 to 7 minutes, or until lightly toasted. Stir constantly so the rice will not stick and burn. Stir in one ladle of chicken stock, and keep stirring until it is mostly absorbed, ladling and stirring in more of the broth as well as the Marsala wine in the same manner, until the rice is almost al dente. Stir in the saffron, remaining butter, and 3/4 cup of Parmesan cheese. Turn off the heat, cover and let sit for 4 or 5 minutes. 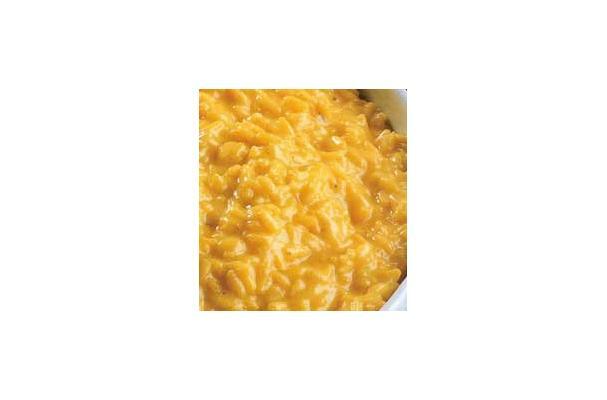 Risotto is a class of Italian dishes of rice cooked in broth to a creamy consistency. The broth may be meat-based, fish-based, or vegetable-based. Many kinds include Parmesan cheese, butter, and onion. It is one of the most common ways of cooking rice in Italy. Its origins are in northern Italy where rice paddies are abundant. Risottos are made using short-grain rice with the stock being added gradually while the rice is stirred constantly. The cooking technique leads the rice to release its starch, giving the finished dish a creamy texture. I would recommend using an Arborio type rice since this seems to be the best for releasing all its starch to get that creamy Risotto that is desired. Risotto alla Milanese is a very simple dish to prepare and at the same time it is a very delicious one.